Tips For Getting Rid of Indoor Pests. This download will help you identify the best places within your home to use Stay Away® pest prevention pouches to eliminate current infestation, and prevent future outbreaks without the use of hazardous chemicals or kill methods. The best part is, it’s much easier than you’d think! Rodents like to travel along and lick pipes for hydration – place a pouch under your sinks. Spiders like quiet, vibration-free spaces like basements or closets to spin their webs. 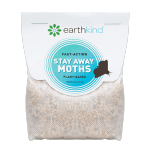 Moths actually do not damage your cloths, it is their larva that eat fabric to get the protein necessary for growth and development. 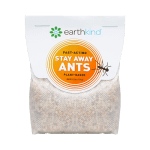 Ants only come into your home looking for food to carry back to their colony. Beetles congregate around windows waiting for scent clues to come inside for food. My baby’s room is still ant-free. Thanks to you! I love the pouch pod and have been using it. It’s attractive and I like that she can’t get into the pouch now – not that is would’ve harmed her anyway! We’ll periodically send you fresh ideas on ways you can maintain the health and harmony of your home. 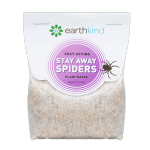 Plus special deals on EarthKind® products that you won’t find anywhere else!